As the battle continues over preserving the Affordable Care Act and fighting cuts in other federal health programs, proponents of affordable, accessible health care for all Americans are debating what to press for in the 2020 election. Expand Medicare? Open up Medicaid? Export Medicare prices into private plans? 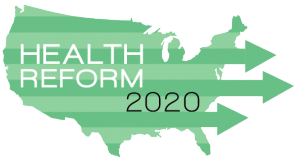 In a special report on health care reform co-produced with The American Prospect, TCF takes a look at these and other options for progressive change post-Trump. What’s the Difference between Health Reform Proposals?